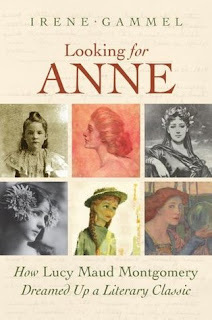 Looking for Anne was my personal read for the L.M. Montgomery reading challenge this past month. I finished it a few days ago, thoroughly happy with it in spite of what I would consider some flaws. This title kept me thoroughly and engaged from beginning to end. Looking for Anne is a study, an investigation, and an imagined fancy of what Montgomery was thinking about when writing Anne of Green Gables and what aspects of her life may have played a role in creating this beloved classic. In this book, Gammel lays out certain events that were happening in Maud's life as she began putting Anne's story together. Gammel makes note of unpublished journal entries, considers what books and/or magazines Montgomery had likely read, and relies on letters between various individuals to explain what elements came together to inspire the red-headed Anne Shirley. Montgomery didn't name Nesbit in her journal and its rather doubtful that she ever bothered to find out who she was. If she had, she might never have claimed Nesbit as an inspiration considering Nesbit's character and history. Nesbit has a rather sordid history which makes for sensational reading if you are interested in such things. It's hard for me to imagine Nesbit as Anne but that's to be expected, given all of the years I've spent imagining her as Megan Follows. Ha. Still, it's interesting information. My chief disagreement with Gammel comes at her line of questions surrounding Montgomery's sexuality. She does point out that noted Montgomery scholar Mary Henley Rubio flatly denied that Montgomery was a lesbian. If Rubio's answer had been allowed stand, Gammel would have had a much shorter book. Alas, there were pages to fill! 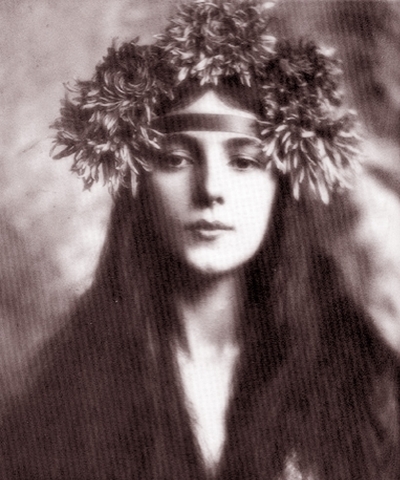 Gammel spends considerable time examining all of Montgomery's female friendships and her interactions with them. Chiefly she focuses on correspondence between Maud and friends, noting that their letters included endearing text suggesting something other than friendship. In my opinion, society today wants to point out that there famous homosexuals and lesbians throughout history for people to take pride in. While I definitely do agree that the issue of homosexuality has long rankled history, I don't think that everyone who has ever been famous should be suspect. Gammel really spends quite a bit of time on this topic and while I see and understand what would lead her to such questions, I also think she was straining at the bit. I have a few dear friends of my own that I address in special terms that I don't use for others. When you have a good, close, tight friend I think it's completely natural that you would have little nicknames, special secrets, and that you would engage in some activities that you wouldn't with someone else that you trust less. I'm a rather extreme introvert. The real me is known by only a select few. I can completely see and understand how Montgomery would draw a particular female (or two) at a time and trust them with her innermost thoughts. Those friendships would have access to certain parts of her which were off limits to the general public. That in no way means that there is a romantic relationship but merely suggests an intense friendship to me. Montgomery and I share very many similar traits so I wouldn't assume that she had interest in women sexually but that she was just an intensely private person who poured her heart and loyalties out on those she truly loved (in a platonic way). I don't mean to cast aspersions on Looking for Anne or suggest that you wouldn't want to read it. As I mentioned, I thoroughly enjoyed it. There's much to learn and glean from Gammel and, if nothing else, it encourages you to consider Montgomery's world a little bit more thoroughly and how it was that she was influenced by the community she lived in, as well as the books and activities she exposed herself to. Certainly I have no regrets in reading this title. I enjoyed it! I don't know that I could say everyone would, but I did and thank Gammel for the enjoyable ride. I didn't like the sexual overtones that the author seemed to read into things, either. But otherwise she did have a lot of interesting background information to share.